“You never stand as tall as when you kneel to help a child get an education.” Chernor Bah, a Sierra Leonean youth leader, shared this quote during the recent launch of Education First, a new initiative by U.N. Secretary-General Ban Ki-moon. Worldwide, 61 million children are not in school, and over 40 percent of those children live in poor, conflict-affected countries, according to new research slated for release in a new report by UNESCO on October 16. The secretary-general is therefore using the power of his office and the United Nations to make education for all children and youth a priority. The initiative aims to galvanize support and commitments from member states, U.N. sister agencies, the private sector, and non-profit organizations to provide quality education for every child. Ban Ki-moon was inspired to launch this endeavor in part due to his own experiences in post-war Korea. He credits access to education and the textbooks provided by UNESCO to his success in life. The value of education during natural disasters, wars, and humanitarian crises is often underestimated. 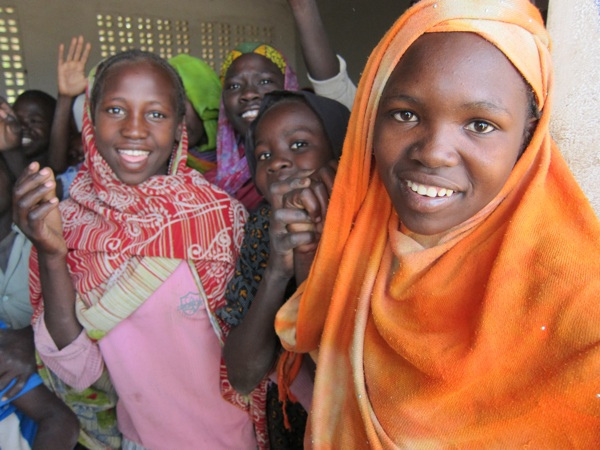 Children, including those in Djabal and Goz Amer refugee camps where the Darfur Dream Team works, deserve access to quality education and opportunities. Access to education can serve as a life-saving and protection tool in the short term by providing a safe, structured, and normalizing space for children, reducing the likelihood of child marriages and recruitment as child soldiers. In the long term, it provides a sense of hope and a bright future for both the parents and children, instilling the ambition to strive to be youth leaders—or even the U.N. secretary-general. Refugees have been advocating for better access to quality education, but to date only 2 percent of the global humanitarian aid is allocated to education. One of the key actions under the new initiative and a welcome development will be the focus to sustain education in humanitarian crises. Thanks to Education First, member states, humanitarian agencies, and organizations will now include education as a core part of their response to crises. Financial commitments made to the initiative will be used to fund education all over the world, including areas affected by conflict or natural disasters. Importantly, the initiative aims to not only put every child in school but also improve the quality of learning. Recent studies show that despite enrollment, many of the children are not learning basic literacy skills. Quality education has always been an important part of our mission. DDT supports teacher training, reducing the student-teacher ratio; provides school supplies; builds fences to make sure students have a safe learning environment; and more. The refugee teachers told us about the difficulty of having more 100 children in classes, so in Djabal, our funding made it possible to recruit and train 18 new teachers. Currently in Goz Amer, the students lack adequate school supplies. This next round of fundraising will be dedicated to providing textbooks, notebooks, writing tools, blackboards, desks, and chairs. Umda Tarbosh, one of the inspiring teachers working in Goz Amer refugee camp, is full of many great sayings, but my favorite is the one he wrote in a letter to the DDT U.S. sister schools. “With education our students can reach the sky and run our country; without it, they cannot,” he wrote. The powerful statement encapsulates the transformative power of education that creates leaders like Sierra Leonean leader Chernor Bah and Ban Ki-moon. In light of the renewed focus on education for all championed by U.N. Secretary-General BanKi-moon, it’s time for us too to stand tall so that Darfuri refugee students in Djabal and Goz Amer refugee camp can reach the sky.